Ant-Man and the Wasp (film, 2018). A 2018 American superhero film with "PG-13" rating by Walt Disney Studios Motion Pictures. Directed by Peyton Reed. Official Trailer. Ant-Man and the Wasp is a 2018 American superhero film directed by Peyton Reed. 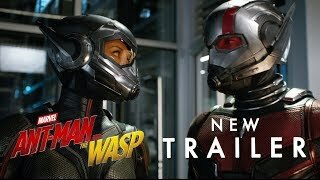 Marvel Studios' Ant-Man and The Wasp - Official Trailer #2. Two years after the events of Captain America: Civil War, Scott Lang was placed on house arrest due to his involvement with the Avengers in violation of the Sokovia Accords, Hank Pym and his daughter, Hope van Dyne, briefly manage to open a tunnel to the quantum realm. They believe Hank's wife, Janet van Dyne, might be trapped there after shrinking to sub-atomic levels in 1987. When he had previously visited the quantum realm, Scott had unknowingly become quantum entangled with Janet, and now he receives an apparent message from her. With only three days left of house arrest, Scott contacts Hank about Janet despite the strained relationship they have due to Scott's actions with the Avengers. Hope and Hank kidnap Scott, leaving a decoy so as not to arouse suspicion from FBI agent Jimmy Woo. Believing the message from Janet to be confirmation that she is alive, the trio work to build a stable quantum tunnel so they can take a vehicle to the quantum realm and retrieve her. They arrange to buy a part needed for the tunnel from black market dealer Sonny Burch, who has realized the potential profit that can be earned from Hank's research and double-crosses them. Donning the Wasp outfit, Hope fights off Sonny and his men until she is attacked by a quantumly unstable masked woman. Scott tries to help fight off this "ghost", but the woman escapes with Hank's lab, which has been shrunk down to the size of a suitcase. Hank reluctantly visits his estranged former partner, Bill Foster, with Hope and Scott. Bill helps them locate the lab, where the ghost captures the trio and reveals herself to be Ava Starr. Her father Elihas, another of Hank's former partners, died along with his wife during the experiment that caused Ava's unstable state. Bill reveals that he has been helping Ava, whom they plan to cure using Janet's quantum energy. Believing that this will kill Janet, Hank refuses to help them and escapes with Hope, Scott, and the lab. Sonny Burch: A "low-level criminal-type"
Principal photography began on August 1, 2017, at Pinewood Atlanta Studios in Fayette County, Georgia, under the working title Cherry Blue; Dante Spinotti served as director of photography, shooting on Arri Alexa 65 cameras, with some sequences being shot with a Frazier lens. 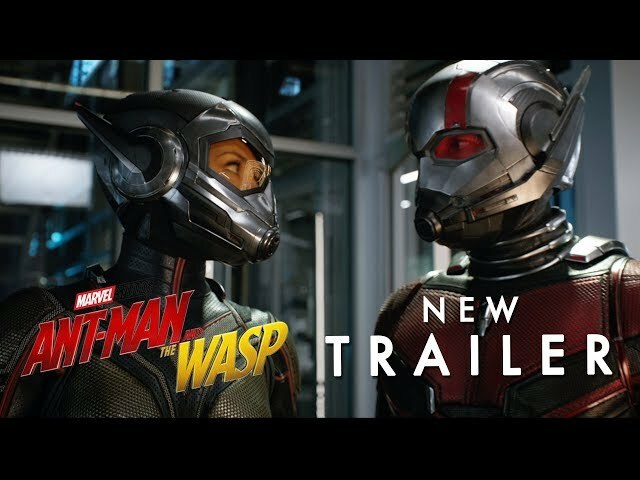 The film Ant-Man and the Wasp was scheduled to be released by Walt Disney Studios Motion Pictures on June 25, 2018 (El Capitan Theatre), on July 4, 2018 (Finland, Iceland, South Korea, Norway, Philippines, Sweden, Singapore), on July 5, 2018 (United Arab Emirates, Argentina, Australia, Bahrain, Brazil, Colombia, Czech Republic, Denmark, Estonia, Greece, Israel, Cambodia, Kuwait, New Zealand, Oman, Qatar, Russia, Saudi Arabia, Slovakia), on July 6, 2018 (United States, Bulgaria, Sri Lanka, Lithuania, Mexico, Pakistan, Turkey, Vietnam, South Africa), on July 13, 2018 (India, Kathmandu), on July 18, 2018 (Belgium, France, Netherlands), on July 20, 2018 (Spain), on July 26, 2018 (Germany, Hungary), on August 3, 2018 (United Kingdom, Poland), on August 14, 2018 (Italy), on August 15, 2018 (Portugal) and on August 31, 2018 (Japan). The duration of the film is 118 minutes. With a budget of $162 million, the film grossed over $622.7 million. Ant-Man and the Wasp got high rating from critics. The audience also likes the film. Audiences polled by CinemaScore gave the film an average grade of "A-" on a scale ranging from A+ to F.